Planning a wedding can be complicated. Coordinating transportation for your wedding guests can be a challenge. 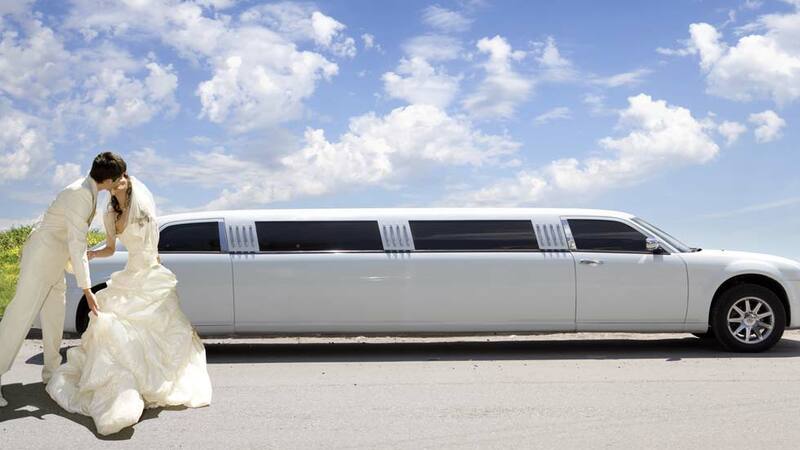 You don’t want to worry about how to get your family and friends from the airport to the hotel, from the hotel to the ceremony, from the ceremony to the reception, from the reception to the hotel and any other location you have planned events over the wedding weekend. Booking a charter will ensure your guests arrive safely and on time and provide a fun way for your guests to get to know each other while they are on the shuttle. Wedding guests can relax and have fun without worrying about choosing a designated driver or navigating an unfamiliar city because the shuttle will get them safely from the reception site back to the hotel. A reliable shuttle service company can accommodate parties of all sizes at an economical prices. Charter companies can provide vehicles such as luxury sedans, SUV’s, vans, limousines, or 6-31 passenger shuttle buses. Luxury shuttles can include onboard Wi-Fi, live satellite TV, laptop USB ports and electric outlets, and comfortable leather high-back seating. Transportation can be arranged from a basic pickup and drop off to custom meet and greet services. Vehicles can be stocked with ice, glasses, bottled water and beverages for your guests. Additional services such as a red carpet, special music playlists for the trip, specific dress code for the driver or decorations fitting your theme can also be arranged. Wedding shuttle services typically require a 3 to 4 hour minimum. Most wedding couples opt for 2 hours at the beginning and 2 hours at the end. This is the ideal for wedding couples having their ceremony and the reception at the same venue. There is typically no limit to the number of stop off locations the group may make along the way. When booking a wedding shuttle, you should add 20 to 30 minutes of pad time to the itinerary to account for any unexpected delays. Expect to pay between $75 and $150 per hour, plus a 15 to 20 percent tip, which is usually included in the contract (sales tax may also be charged). If it's not included, a $20 tip for each driver will cover your bases. Wedding shuttles should be booked about six months in advance, according to The Knot’s website. Formal vehicles are especially in demand during the months of April, May and June due to prom and graduation season. Research companies online to view their fleet of vehicles to ensure it meets your expectations. Ask the charter company what the chauffeurs will wear. Drivers should be professionally attired and neatly groomed and wear either a black suit or tuxedo. Ensure that chauffeurs of larger vehicles have a commercial driver’s license and are fully insured. Charter services can also be arranged for bachelor and bachelorette parties before the wedding. The entire group can be spend a fun afternoon on a local brewery tour or spend the evening club hopping. For more information on private shuttle bus services or if you have any other questions or comments please contact us at American Valet (800) 419-2975. Contact our Division Manager at 503-861-9182 for pricing and a customized program.